Test your knowledge. How many do you already know? Whose introduction causes (or is likely to cause) harm to human health, the economy, or the environment. The majority of all recorded extinctions have occurred on islands with invasive species as the primary causes. Invasive mammals represent a key threat to island biodiversity. Invasive species directly impact native species via predation, competition for resources, and destruction of sensitive habitat. Rodents are some of the most prolific invasive species and are considered among the world’s 100 worst by the Invasive Species Specialist Group. They are estimated to occur on 80% of the world’s archipelagos. Invasive rodents pose health risks vectors of diseases such as leptospirosis. Invasive species are introduced outside their native range often with human aid. Rats may accidentally be introduced as stowaways on ships, and historically, species such as goats were often deliberately introduced as a food source. Invasive species such as rodents can reproduce rapidly. Once introduced, they can swiftly take over the native habitats they invade. Invasive species eradications have become a powerful tool to prevent extinctions and restore ecosystems. Invasive rodents have been eradicated from at least 410 islands as a response to their threat to island biodiversity values. Once rodents are removed, the recovery of native species plants and animals on islands can be spectacular. 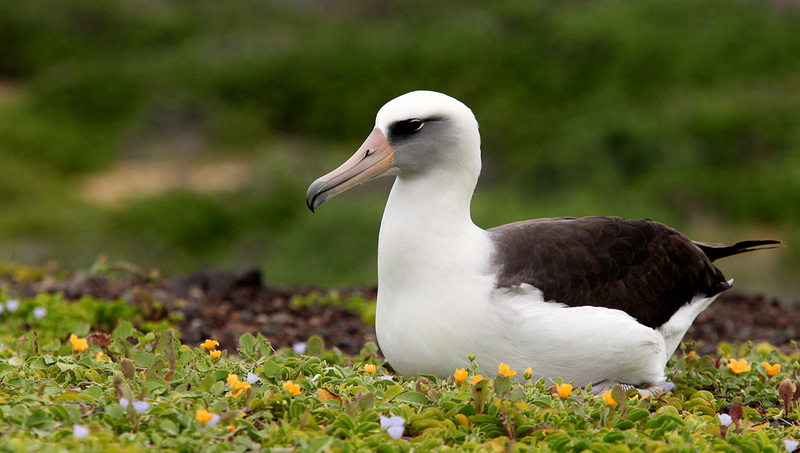 Many seabirds lay their eggs in the open, such as this Laysan Albatross, leaving them extremely vulnerable to the impacts of invasive species. Cuthbert, R., and G. Hilton. 2004. Introduced house mice Mus musculus: a significant predator of threatened and endemic birds on Gough Island, South Atlantic Ocean? Biological Conservation 117:483– 489. Towns, D. R., I. A. E. Atkinson, and C. H. Daugherty. 2006. Have the harmful effects of introduced rats on islands been exaggerated? Biological Invasions 8:863–891. Meerburg, B.G., Singleton, G.R., Kijlstra, A., 2009. Rodent-borne diseases and their risks for public health. Crit. Rev. Microbiol. 35, 221–270. Donlan, C. J., B. R. Tershy, K. Campbell, and F. Cruz. 2003b. Research for requiems: the need for more collaborative action in invasive species management and conservation. Conservation Biology 17:1850–1851. Laboratory UCSC, IUCN SSC Invasive Species Specialist Group, University of Auckland and Landcare Research New Zealand. 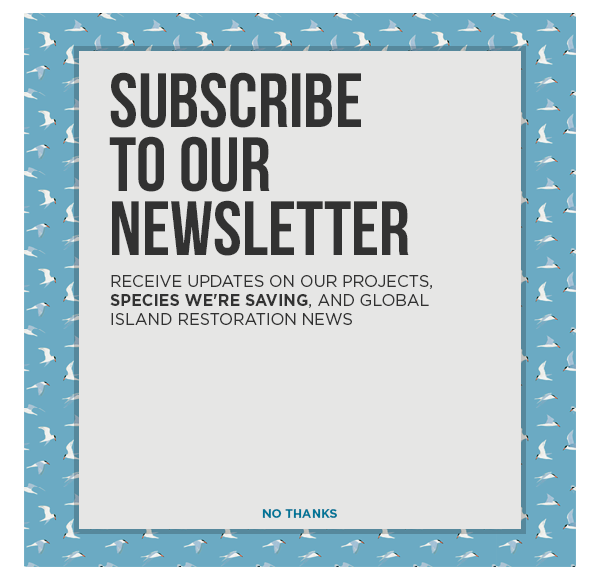 http://diise.islandconservation.org. Wisdom Hatches her 40th Chick!